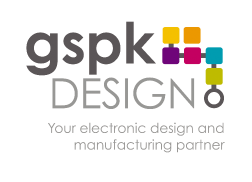 Electronic Design is at the heart of what we do and over the last 16 years, GSPK Design has perfected the process of delivering innovative and cost effective designs. Projects vary from embedded weight management systems within vehicles, fuel control systems, through to LED lighting drivers, digital water testing, oxygen analysis and testing, and furnace control mechanisms. GSPK Design believes that the key to every successful electronic design project starts with consultation to help “Discover” and “Define” the product. In our experience, the development process yields many opportunities to reduce cost, establish new ideas, or simply question commercial/technical viability and it’s at the “Discovery” stage that it’s crucial to ask all these questions and more, ensuring project success time and time again. We can then go on to guide you all the way through the product design process to “Define”, “Develop” and “Deliver” a successful project that comes in on time and within budget exceeding your technical expectations. GSPK Design conforms to standard industry best practice complying with, amongst others, EMC and LVD type approvals. We provide a full turnkey solution for clients, from initial consultation and proof of concept, through to design, electronic design prototyping and final manufacture (UK). Although GSPK Design has experience in many markets, we have particularly strong experience in the Medical and Industrial Measurement & Controls industries.